Are you in the market for a commercial loan? 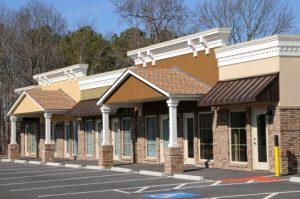 Do you have your eye on a piece of property you’re going to use for commercial use? If so, the loans here at The Mortgage House, LLC, located in Buckhead is where you should start your commercial loan search. The professionals behind the scenes here at The Mortgage House, LLC know which business loan is the best option for you, your business, and your lifestyle. When you work with The Mortgage House, our highly trained brokers at your beck and call. No matter the qualifications of the loan you are seeking, our team of professionals are talented, confident, and ready to provide you with unstoppable commercial loan assistance. Our team will provide you with all of the business up-keep, such as negotiating the best rates of your loan, terms, and the cost of the loan. We want to give you a loan that is easy to handle and that brings you happiness. With our experience, we know we can do just that. We know you want immediate gratification, which is why we have made it a point to create a paperless commercial loan application. Take your time and decide if you’d like to submit a loan through The Mortgage House, LLC; it’s a big decision. When you’re ready, rather than dealing with someone at a brokerage firm or bank, you can submit your application and paperwork online effortlessly. To get started, fill out the application here, or schedule a FREE consultation. Feel free to give us a call if you have any questions or concerns. We can’t wait to hear from you!